To begin with...: What we read is certainly part of what we write. What we read is certainly part of what we write. When I was a teenager I didn't always have a book available, and I was an insatiable reader. So I would go to my father and ask if he had a book to spare. He was always going on business trips and read whenever he was on a plane. Frequently, he would ask me not to lose his place, and he would tell me when his next trip was so I could get it back to him, and then he could pick up where he left off. I read science fiction, and he read action adventure, but to me a book was a book was a book. If it had words placed in sentences, I was going to read it. So I read a lot of John D. MacDonald, Ian Fleming and Mickey Spillane novels, though I wouldn't hand them to my own teenage daughter. I came to know their series characters, such as James Bond and Travis McGee, pretty well. I have been shaped by those books and characters. And I know my writing was influenced by them though I don't write in that genre. I think the character development and dialogue style of my own writing is built on the foundations of those works, as well as the authors I read when I could select the books for myself rather then beg for reading material from my father. So interior dialogue, the aside and internal motivation vs external motivation are as much central to my writing as the genre of science fiction is. And then I read The Girl, the Gold Watch & Everything. 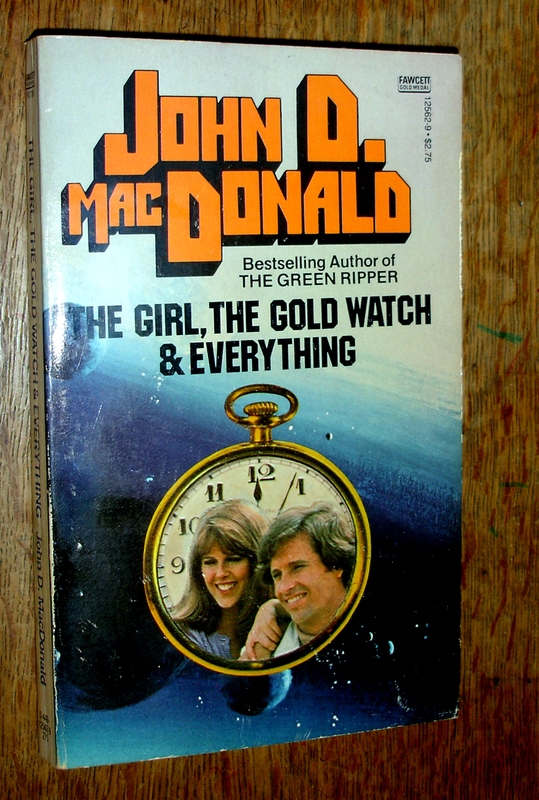 Time Travel became my favorite fiction, and I saw MacDonald in a whole new light. I have no doubt that we can be influenced at times by what we read (or have read). I'm pretty sure my own writing retains traces of some authors I had to study, for instance—because I've grown so familiar with their style that it was bound to stick somehow. Exactly, Yzabel. That is also how we learn to write well in school--we must read to become better writers (whether it is our desire to publish or just be understood). We learn by experience and example.